This calf shelter is meant for about 30 calves. It has a curved roof design that makes it less likely to be tipped by the wind, a skylight to brighten the interior and make it more inviting for calves, lift and carry hooks to make it easy to move, and a door designed on the side to be inviting and keep calves closer to their mother. Also available in a 7’x12’ size (good for about 15 calves). 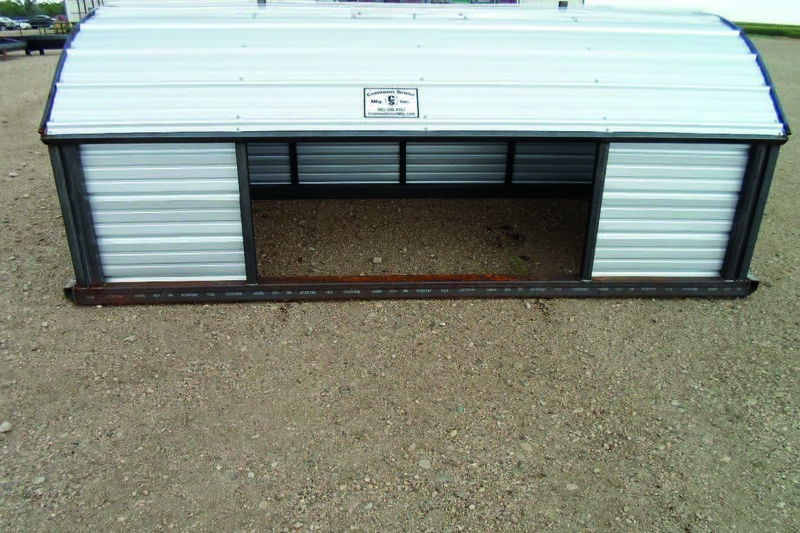 Common Sense windbreaks and lift hooks are available add-ons for this calf shelter. This calf shelter is meant for about 15 calves. 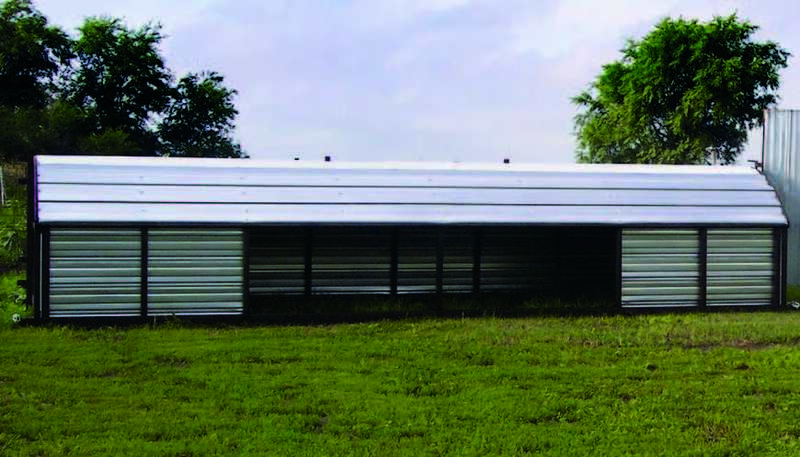 It has a curved roof design that makes it less likely to be tipped by the wind, a skylight to brighten the interior and make it more inviting for calves, lift and carry hook attachments to make it easy to move, and a door designed on the side to be inviting and keep calves closer to their mother. 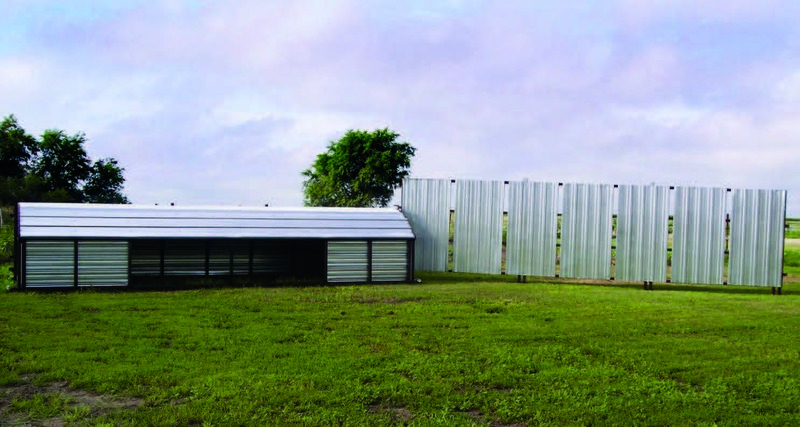 Also available in a 7’x24’ size (good for about 30 calves). Common Sense windbreaks and lift hooks are available add-ons for this calf shelter. These lift hooks bolt on top of the Common Sense calf shelter so that it can be lifted with a tractor bucket. No chains are required and even in the dead of winter the calf shelter is easy to move. These lift hooks can be added to older shelters and are also designed to work on the portable windbreak. This is not a freestanding windbreak. 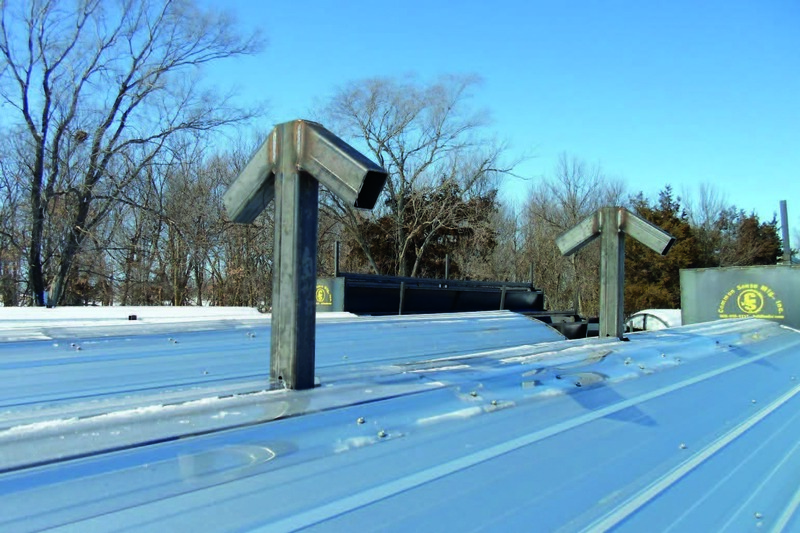 It is a recommended attachment to a Common Sense calf shelter on each or either side of the shelter in order to protect cattle against harsh winds and keep cows in an area where you want your calves to be. It can also be used on an existing fence line by chaining it to your posts. We also sell a 8’x24-1/2′ Portable Windbreak if you are looking for a windbreak that will stand alone. This windbreak is durable, portable, and will stand on its own. There are 2 chains and latches on each end to attach multiple windbreaks together. The legs can be moved in in order to create a 90° corner.